When teachers retire, it’s a great opportunity to reflect on the legacy of learning that they’ve left behind. They’ve likely touched the lives of many students and have created many great memories in their classroom. When a teacher retires, it is a great time to thank them for all their years of service. Teachers help shape us into the adults we become. 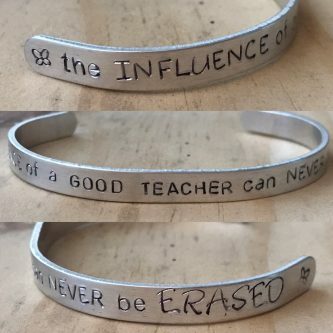 I still remember my 5th-grade teacher making me a bracelet with my name or my track coach that encouraged me to keep going and never to quit. They create lasting impressions even when they don’t realize they are doing it. What can you get the person that has everything? Well, it’s simple! Please take a look at this list of unique, thoughtful and funny gifts that are sure to bring a smile to their face. 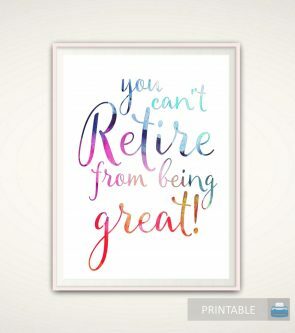 Here are a few ways to congratulate and celebrate your favorite teacher’s retirement! 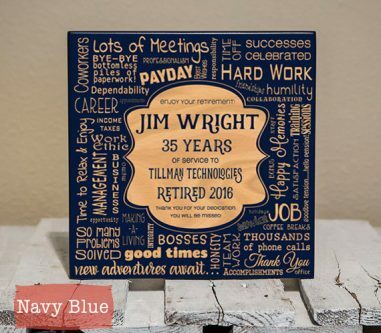 This personalized plaque would make a nice gift to hang in the retiree’s home. Or, a plaque could be placed in a memorialized location within their school for a memorial of some sort. 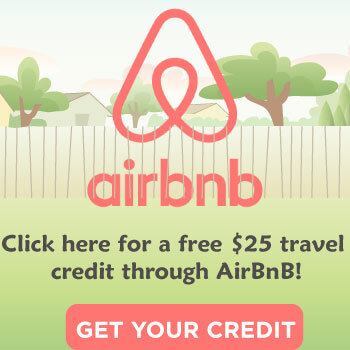 If they are planning some extended travel right after they retire, airfare or discount travel site gift cards. 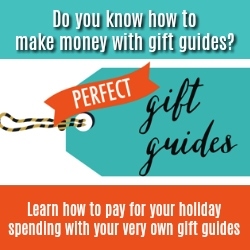 Help them reduce their travel costs with these types of gifts. Using photos and notes from their teaching career, you could create a custom photo book or scrapbook. 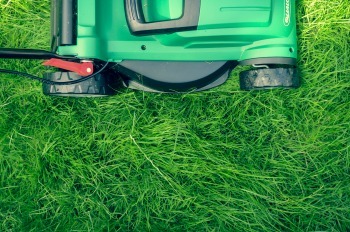 They might enjoy returning to a clean home or a freshly mown lawn and weeded garden. 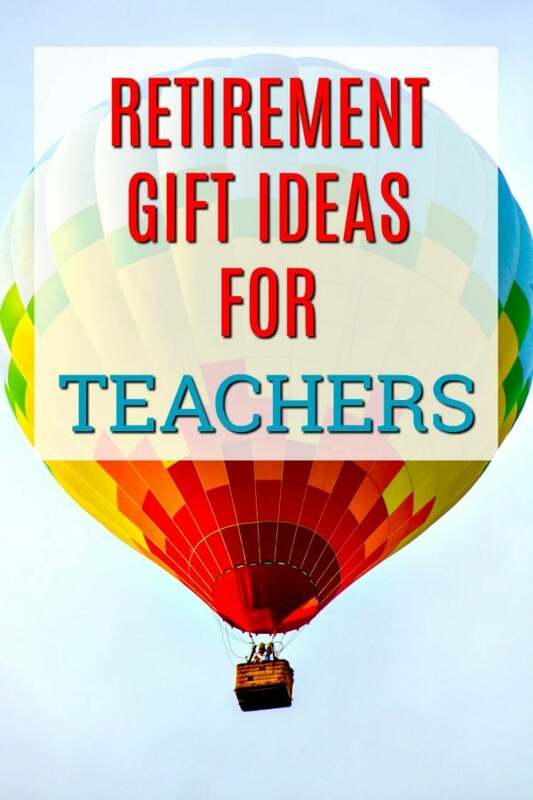 If these are important to your retiring teacher, this gift of service might be very appreciated. 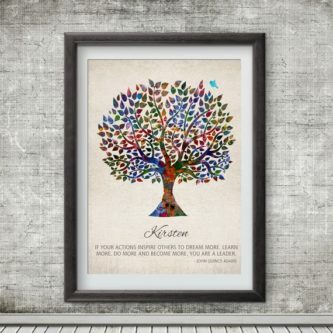 If you need a quick gift that you can print, frame, and easily gift – this is it! A sign like this could be easily displayed in various locations and would make a great motivational talking piece. A gift of sweet treats is always a safe choice. Attach sweet note and you’re all set! It’s likely that your retiring teacher has a family and they might want some portraits done. 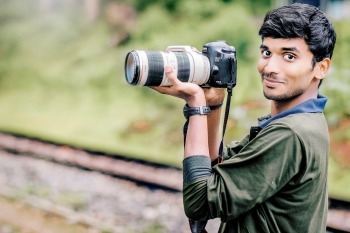 Or, consider hiring a photographer for their retirement party that can capture images of the event. That would make a memorable gift for years to come. If your favorite retiring teacher enjoys wine, this is a great gift for them. 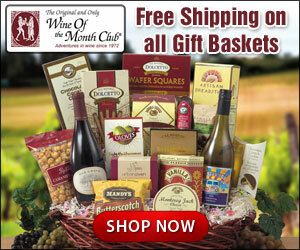 There are wine clubs at different price points and for different types of wine. A gift subscription would be very enjoyable in their time of retirement. 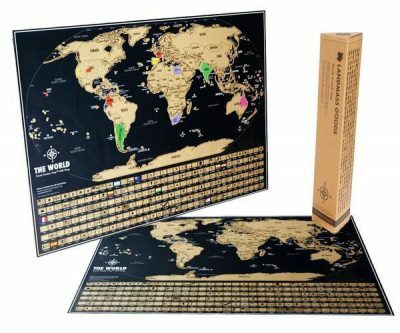 If the retiring teacher is a traveler or planning to travel, this is a memorable keepsake to gift them. The map can be displayed anywhere and can get continual use. Are they planning to play a lot of golf in their retirement? 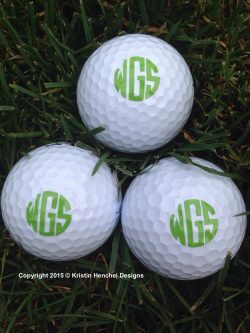 Gift them a set of monogrammed golf balls as a fun gift. Retiring teachers will get a kick out of this clever book of the best wrong answers! 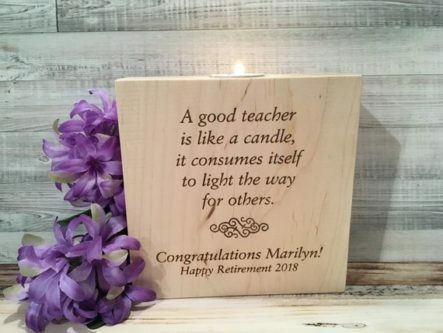 This is a cute gift that can be purchased and put to use as soon as you know your teacher is retiring. Get this jar and set it out during a party or for a certain amount of time and have people fill out “wishes” for their retirement. Once it is full, it’s a great gift with lots of special meaning for the retiree. 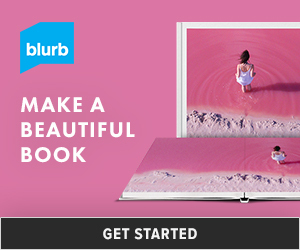 This notebook is just the right size for your purse or briefcase. It’s a small little token that shows how much you’ve appreciated them over the years. Chances are the retiring teacher still has a love for learning. 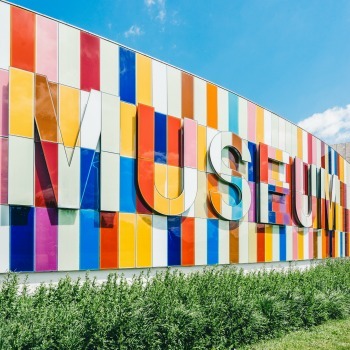 Encourage them to continue that with a museum membership. 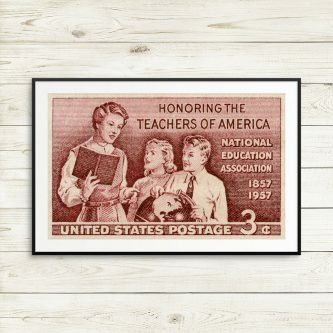 This piece of vintage art would make a great option for a retiring history teacher. If you’re worried that your retiring teacher might get bored, gift them this book. This funny little guide of things to do is sure to keep them entertained. A customizable bracelet like this will last for some time after you gift it. Use a phrase that they or notorious for saying or use your best teaching quote. They’ve probably got a lot of mugs over the years, but this one is even funnier after they’ve retired. This one is simple – find their favorite restaurant and give them the gift of a nice meal there. 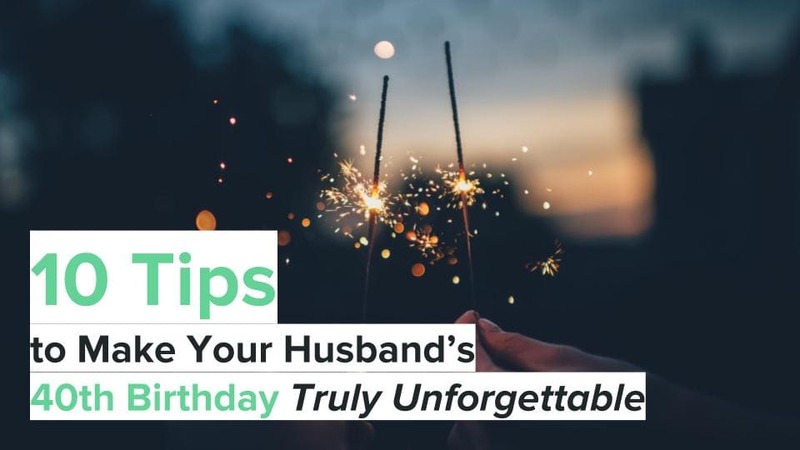 This little indulgence can be a great way to celebrate. This witty t-shirt would be a fun addition to their final day of work! This survival hat is hilarious and will make your retiring teacher laugh without a doubt! And you never know when they may need a fishing bobber! This is an excellent gift for someone with a good sense of humor! I can see this being even better for a teacher that spent years reading Dr. Seuss books to students! Does This Shirt Make Me Look Retired? Unisex t-shirt is perfect for any teacher that is retiring. They can wear it camping or doing whatever they plan to do! The saying on this wall art is so true for teachers. They truly inspire so many students to do bigger and better things. 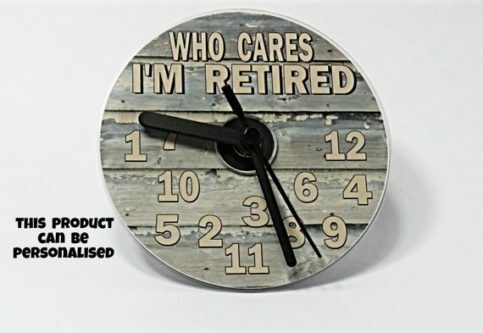 You don’t need to know what time it is when you are retired! Just sit back, relax and enjoy whatever you are doing. 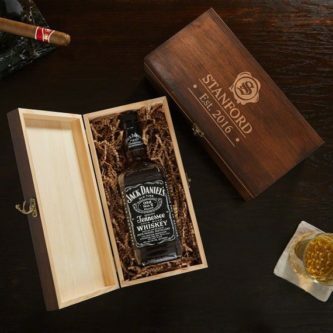 Elegant whiskey box that your recipient is going to love! Just add a bottle of his or her favorite whiskey, and you are all set. After retirement is your favorite teacher planning to go traveling and have lots of camping trips? 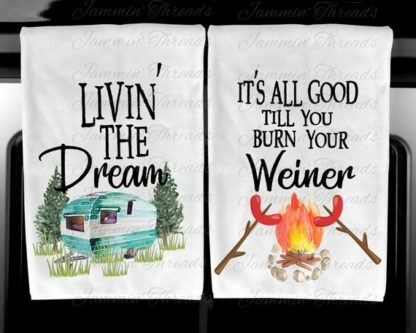 If so, they need these adorable towels! This is one of the few gifts with an apple on it a retired teacher is still going to be happy with! 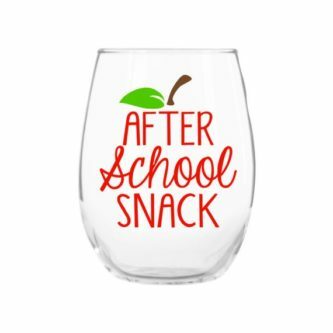 This stemless wine glass is tons of fun….especially after a few drinks! This framed art has a saying that says, “ To Teach Is To Touch Lives Forever.” That is the truth! 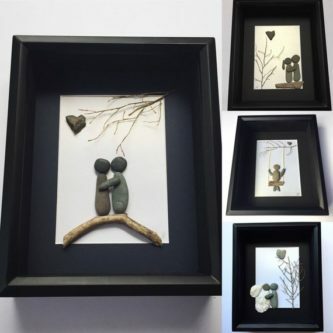 A fantastic and sentimental gift. One of the best parts of retirement is that you can relax a little and not have to be a tight schedule anymore. 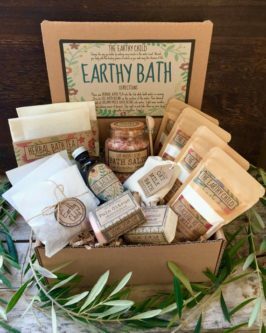 This spa kit smells terrific too! Impressive gift box with biscotti cookies with loads of variety and fantastic flavors. It looks fancy too! Everyone needs a bucket list, especially once you retire! He or she can fill it full of all the ideas and adventures that they want to take. The odds are pretty good that your newly retired friend has probably done a lot of exciting things over their lifetime! This game will get everyone laughing about it! Texting codes change once you become a senior! Take a look at this comical coffee mug! 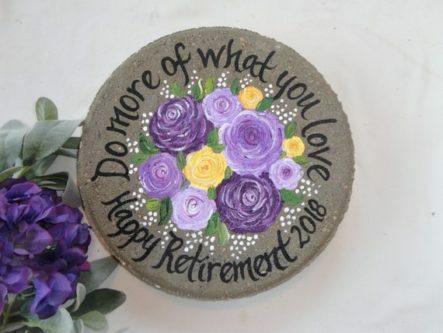 If your favorite teacher is retiring and planning on doing some gardening, he or she may enjoy this gorgeous stepping stone. It’s a great reminder to do what you enjoy and don’t worry about everything else. Customize it with the recipient’s name and year of retirement for an extra meaningful gift. Fantastic for sitting on a bookshelf or mantle and it will be a pleasant reminder of their retirement party. 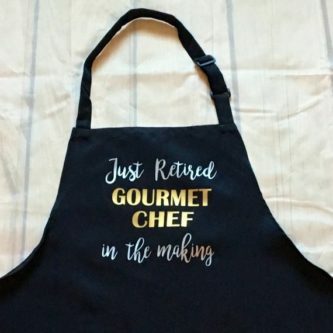 Anyone that loves to cook needs this apron when they retire! 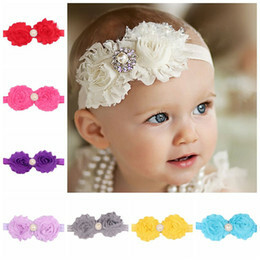 They offer lots of color combinations and a couple of different design options. Take a look! Now they can enjoy reading a book everywhere they go with this sleek and sophisticated e-reader. It looks like a real book too. If he or she wants to hang out all day in a bathrobe that is completely okay! These robes are so big and comfy they aren’t going to want to take them off. This kit is fantastic for someone traveling internationally. It has a little bit of everything that is needed. What do you plan to do when you retire? Please let us know in the comments below. Whatever you decide to give them, make sure you thank them for their many years of dedicated service to students. They truly give the best of their time and talents to improve the lives of the students they teach each day.